I used minced lamb, rather than mincing it myself, and combined all the ingredients in my stand mixer. 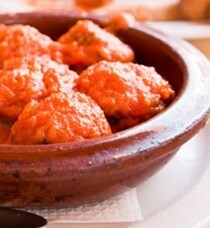 I just fried them in little kofta shapes rather than using sausage skins. Excellent flavour and aroma. Life at the table in the sunbaked communities surrounding the Mediterranean has as much to do with feeding the heart and soul as the stomach. Look into a crowded tapas bar or a rustic outdoor taverna, and you'll find people gathered together to share good conversation along with steaming bowls of pasta, tiny deep-fried fish, roasted sweet vegetables, and spicy pizzas. 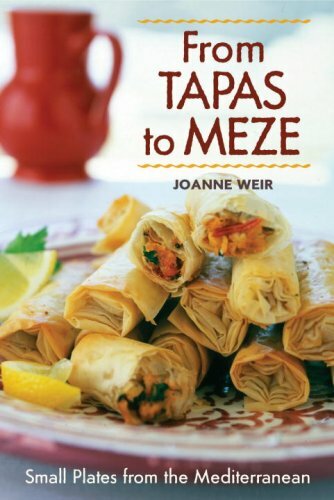 In this completely revised edition of From Tapas to Meze, award-winning chef, cookbook author, and teacher Joanne Weir presents 160 recipes for Mediterranean first courses: the tapas of Spain; Southern France's hors d'oeuvres and entrées; Italy's antipasti and primi piatti; the meze of Greece, Turkey, and the Middle East; and North Africa's mukabalatt. Featuring authentic recipes cajoled from the region's finest home cooks and restaurant chefs, this flavorful collection of small plates brings out the best of the Mediterranean's extraordinary bounty.